Healthy Kids, Health Future – part of former first lady Michelle Obama's broader Let's Move! campaign to end childhood obesity – is a nationwide initiative to empower early childhood education providers to make positive changes in their child care programs to help children develop healthy habits. 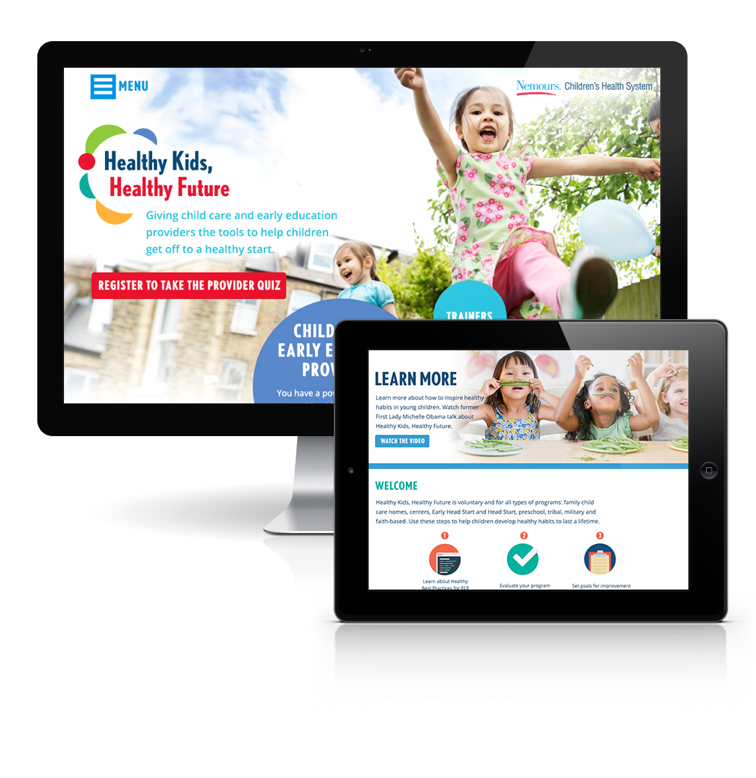 We knew we wanted a fun, playful site design that capitalized on the early childhood focus of the program, but also respected that users of the site were leaders and program managers who needed to find the information they were looking for quickly and efficiently. 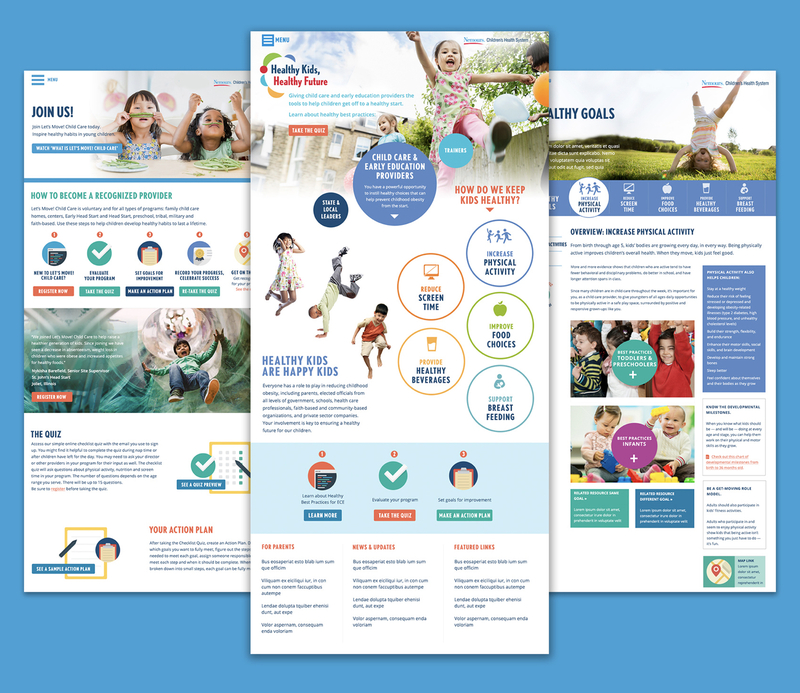 We worked with the team at Nemours Children's Health System to create a new strategy for organizing the great content that they provide – separating key resources by audience and by the 5 Healthy Goals the program was promoting, and organizing those resources into a few concise landing pages with simple navigation. The call to action to join the program was given a whole section of the website – clearly outlining the process for registration and the benefit to the user for signing-up. 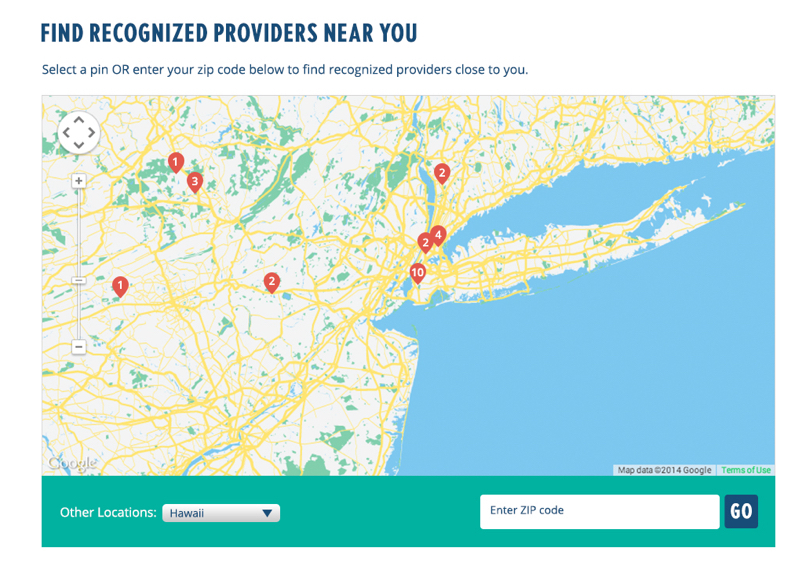 Users who participate are considered certified and their status is added to a map of Recognized Providers. The final site was all built on an intuitive WordPress CMS, which allows the content team to easily and frequently update information and resources. 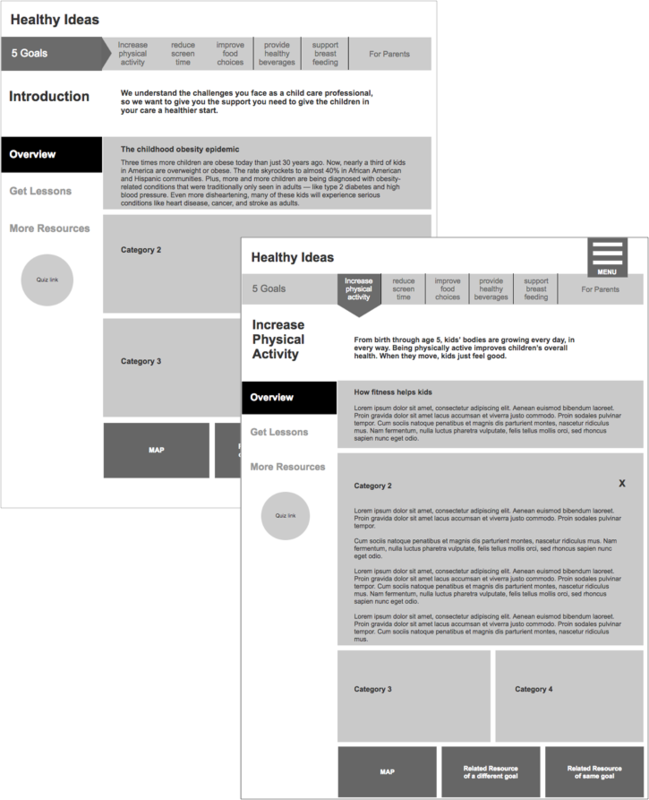 During user tests, program participants noted that the new website felt action-oriented, was easy to navigate, and clearly communicated the purpose of the Let's Move! Child Care initiative. The stakeholder teams at both Nemours and the CDC praised the overall process of working with SOS and the new workflow of maintaining the website. The website was just recognized with a 2016 W3 award. In 2018 Backpack developed an updated branding system to keep the site fresh and relevant. The redesigned logo still reflects the site's spirit of positive nurturing practices for children implemented by caring professionals. Working with this team was a breeze. They are highly professional, while at the same time creative and innovative. The assigned project manager was proactively available and kept me in the loop at all times. It was a true partnership and I couldn’t be happier with the result.